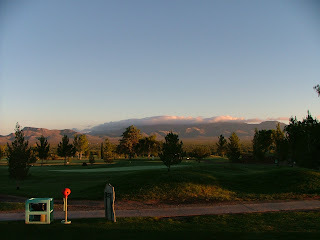 This is Turquoise Valley Golf Course in Naco, AZ. Eye On Golf has decided to take this blog in a different direction – at least most of the time. Rather than consistently comment on the state of the game, it seems you, the golfing public and our avid and faithful readers, will be better served with some golf eye candy. Well, sort of. Sorry there will not be abundant pictures of Natalie or Paula, but rather photos of golf courses that we have visited in our travels, travels that led to our recent book Off the Beaten Cart Path. This shift in focus was infinitesimally inspired by Golfweek’s 2007 list of Best Courses which was recently released. This publication finds the best (often translated “most expensive”) and occasionally discovers a gem. What we’ll do is provide you (and them) with what’s missing. We’ll fill in the gaps by focusing on the fun and the spirit of the game, not the business and the profit. The courses we discover and you will experience reflect that philosophy. However, thanks to the self-appointed idiots that are ruining, er… running, the game, it will still be necessary to provide occasional insight on our beloved game. There is no doubt that these people need a dose of common sense and we will do our small part to provide them with a little. What you see above is a little sampling. 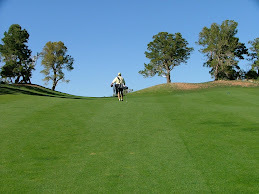 Have you played Great Eagle?